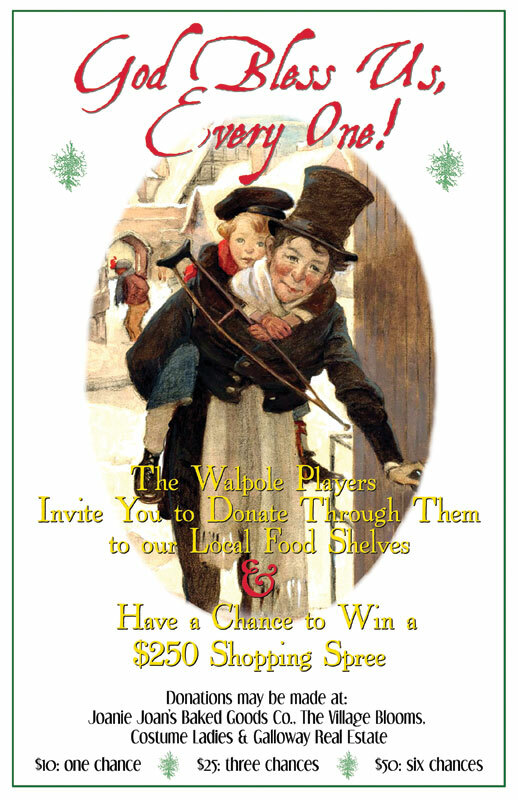 The Walpole Players are making it fun to give this holiday season. We know that you will one again be donating to your favorite needy charity this year. But, if you give your contribution via the Walpole Players to the Fall Mountain Food Shelf or Our Place Drop In Center, the Walpole Players will enter your name in a drawing to win a $250 shopping spree – provided by an anonymous donor – at the many participating shops and restaurants in Walpole and Bellows Falls. Donations may be made (and entry forms filled out) at the locations listed below.